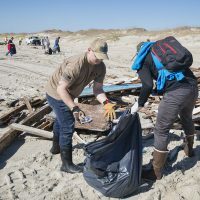 An estimated 100 total volunteers showed up on a sunny Tuesday to help remove debris from a long stretch of Frisco shoreline, a day after a shrimp trawler had wrecked just off the beach. 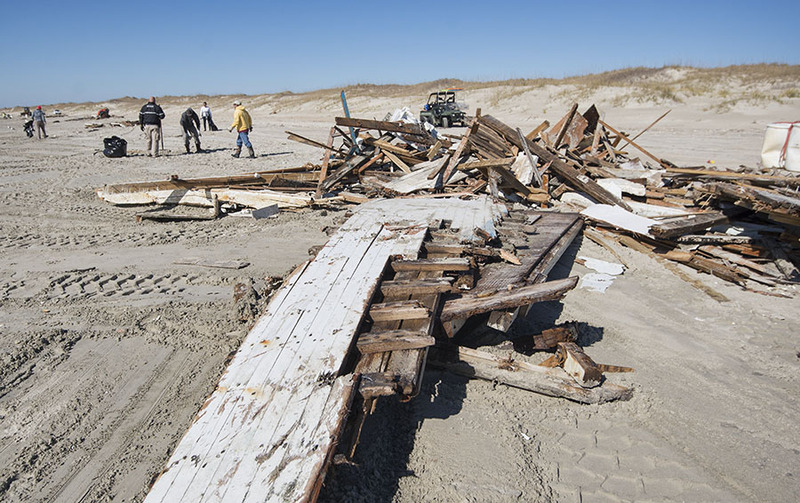 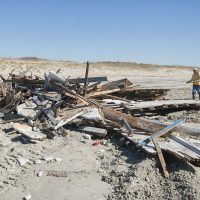 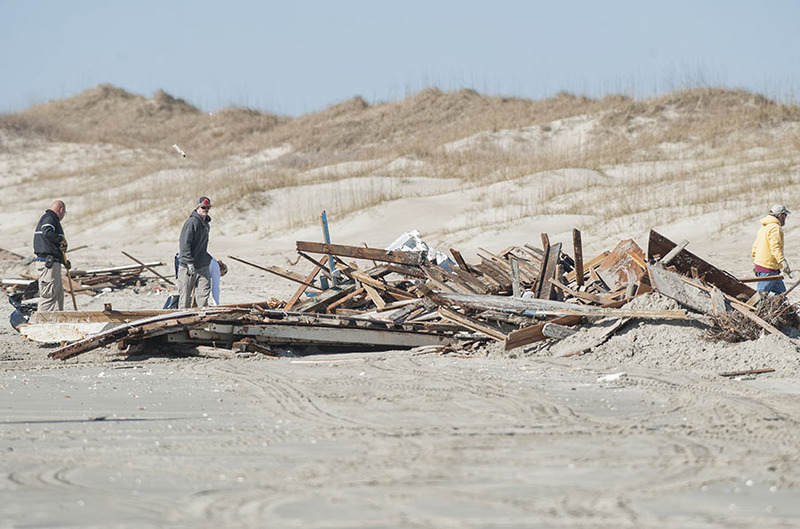 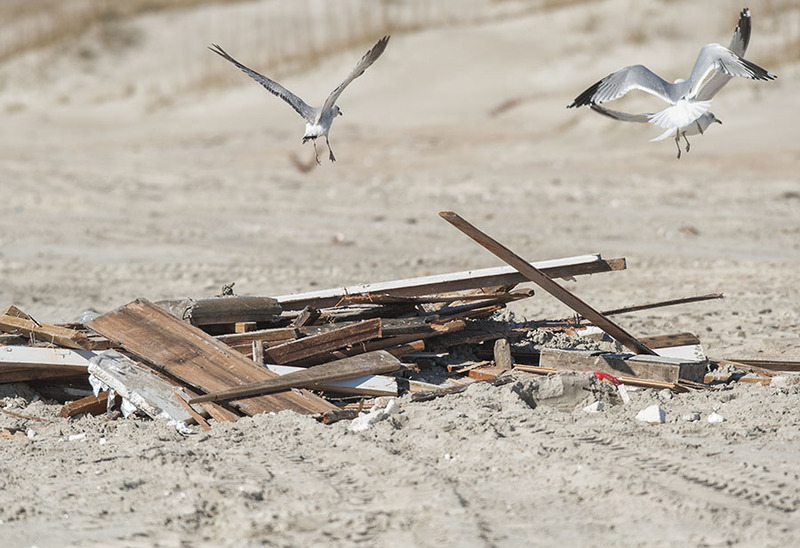 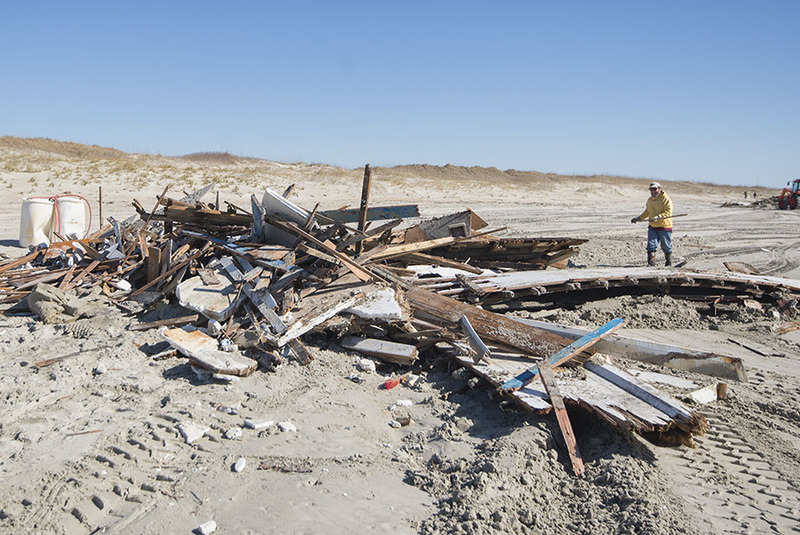 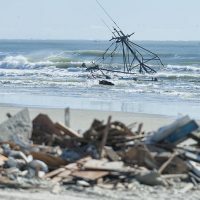 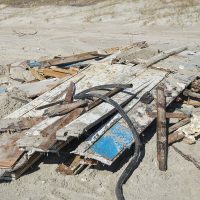 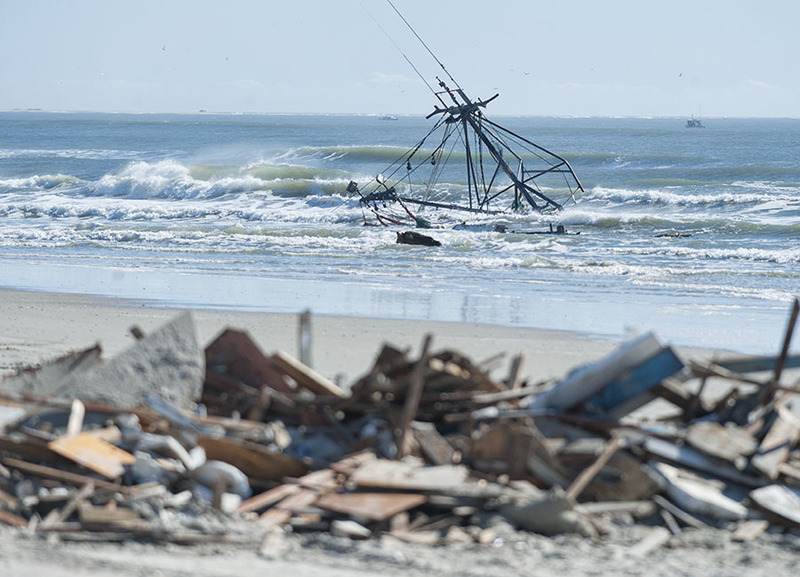 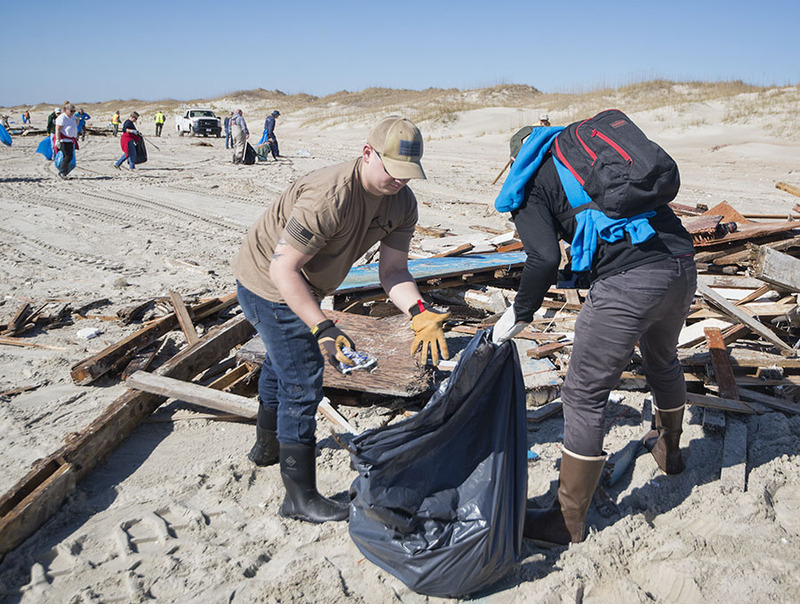 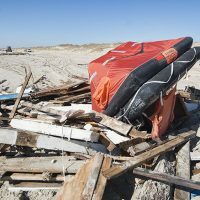 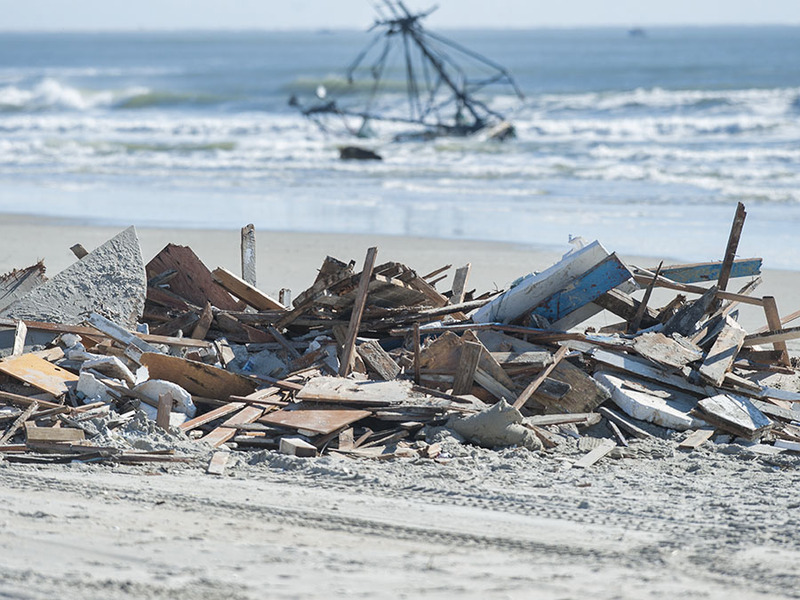 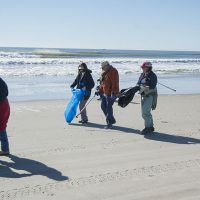 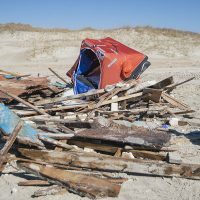 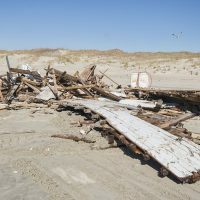 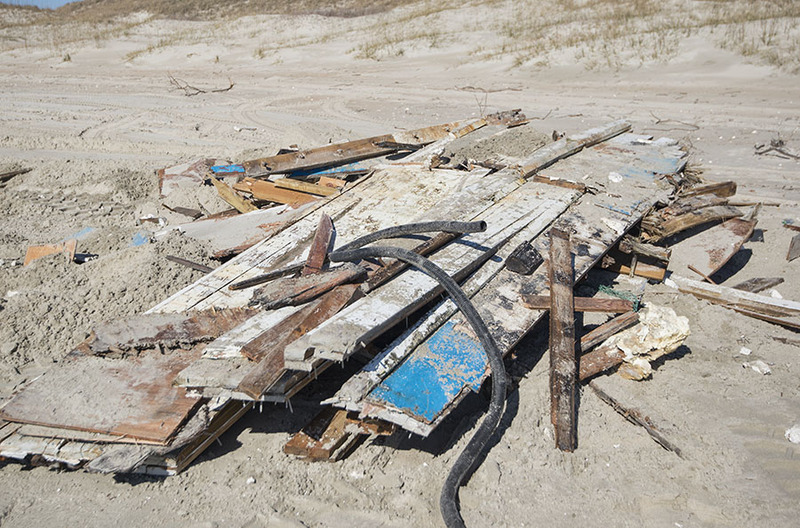 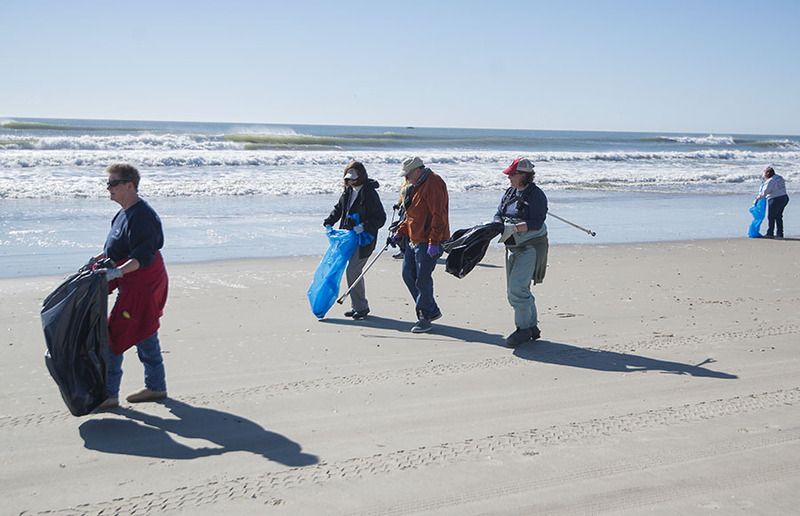 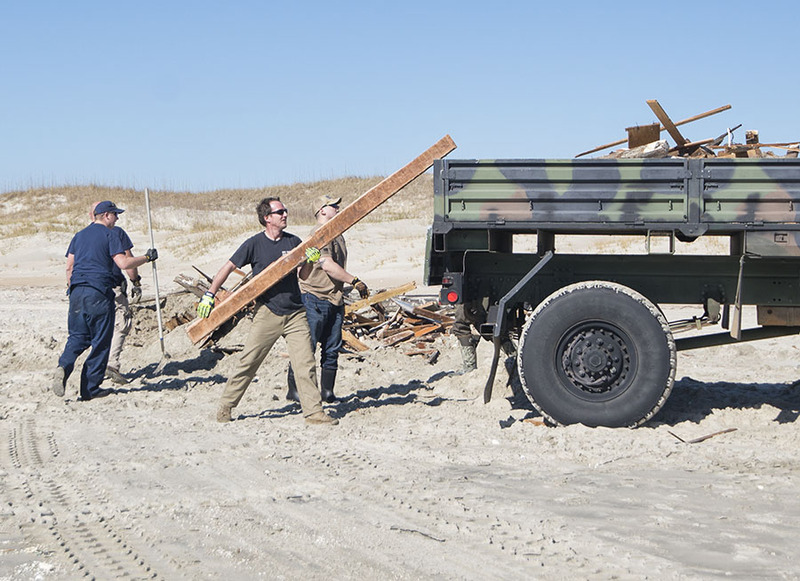 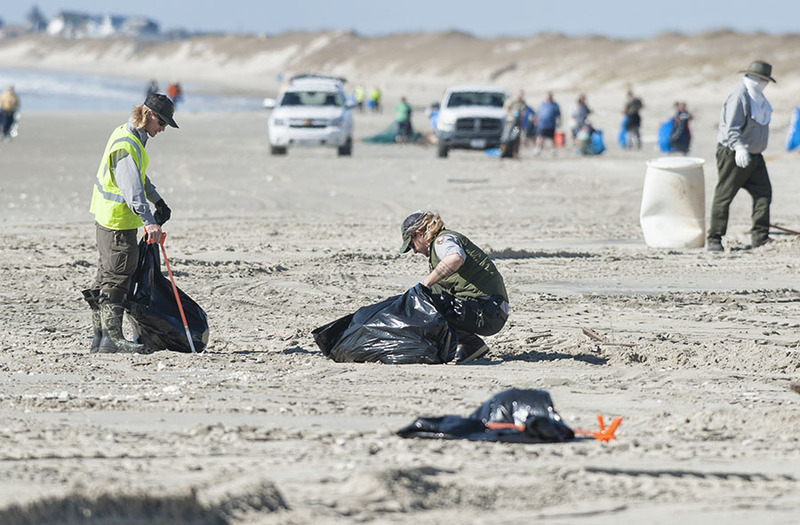 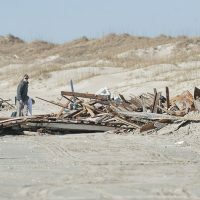 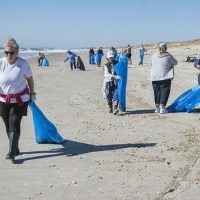 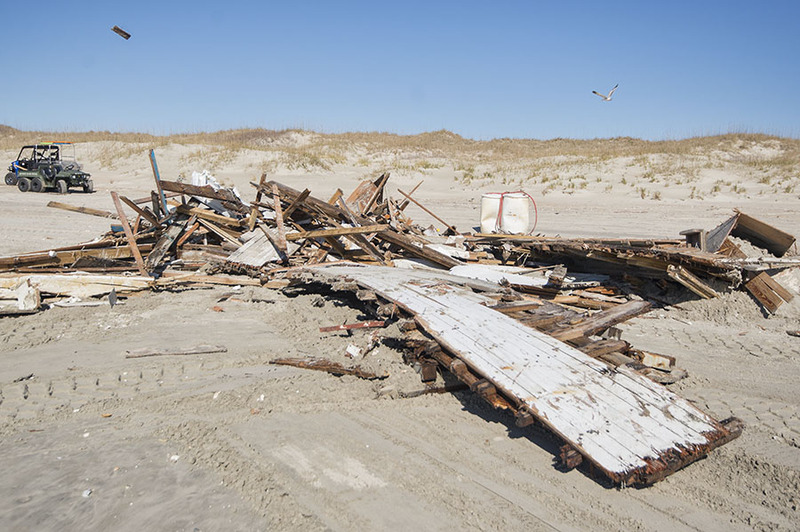 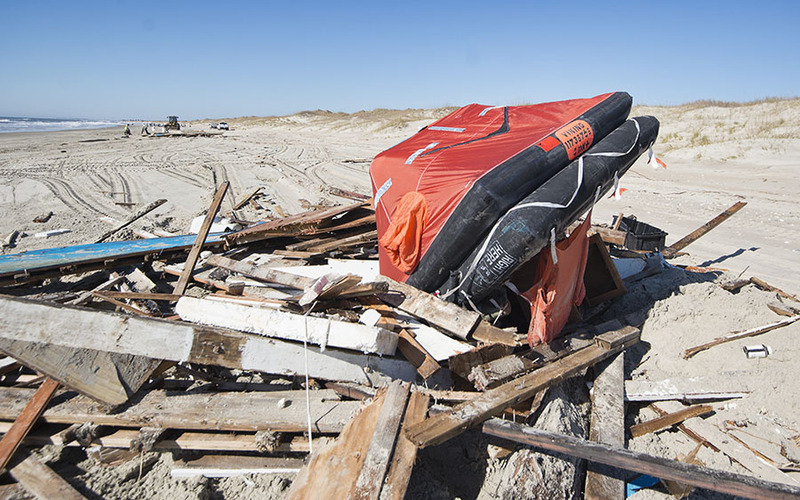 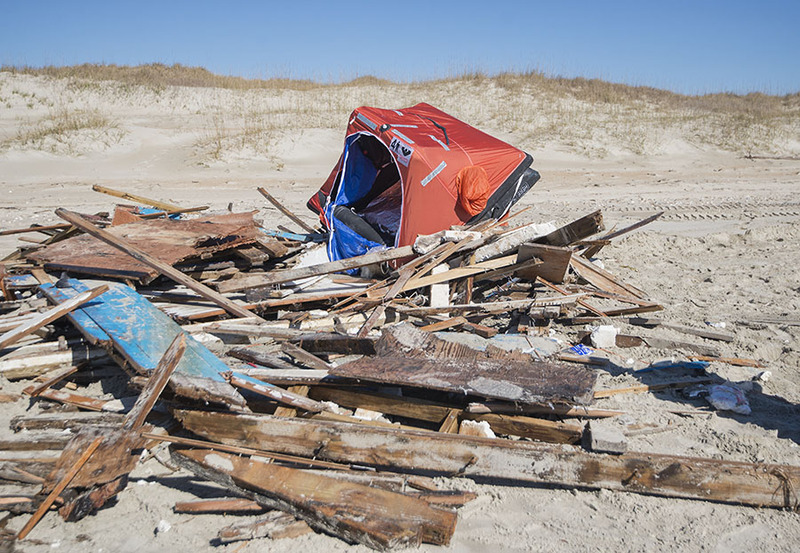 The large beach cleanup was an impromptu endeavor that was orchestrated by the Cape Hatteras National Seashore (CHNS), and which targeted more than a mile of shoreline that extended from ORV Ramp 49 to Ramp 48. 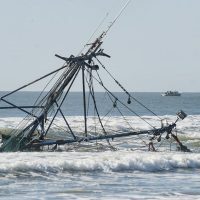 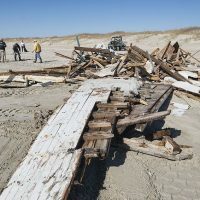 The cleanup was necessary, as after the trawler was found broken apart a half mile north of ORV Ramp 49, the adjacent area had to be closed to beach-goers due to nails, wood, and other potentially hazardous objects. 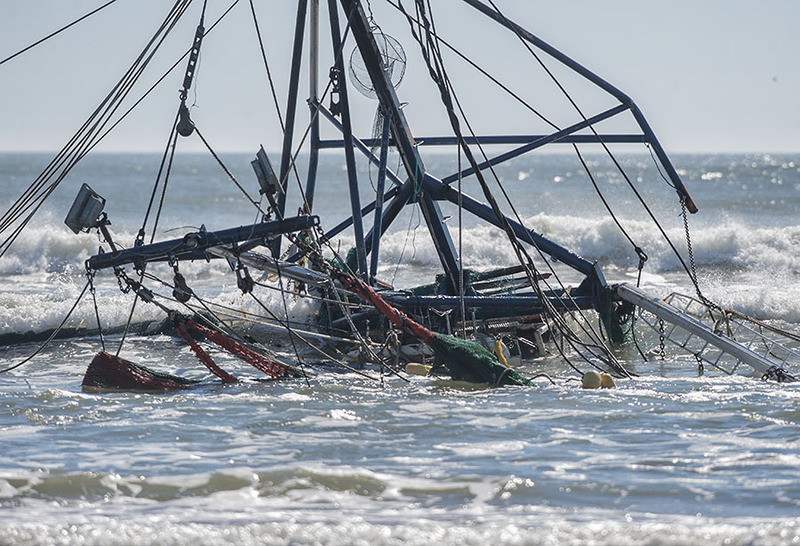 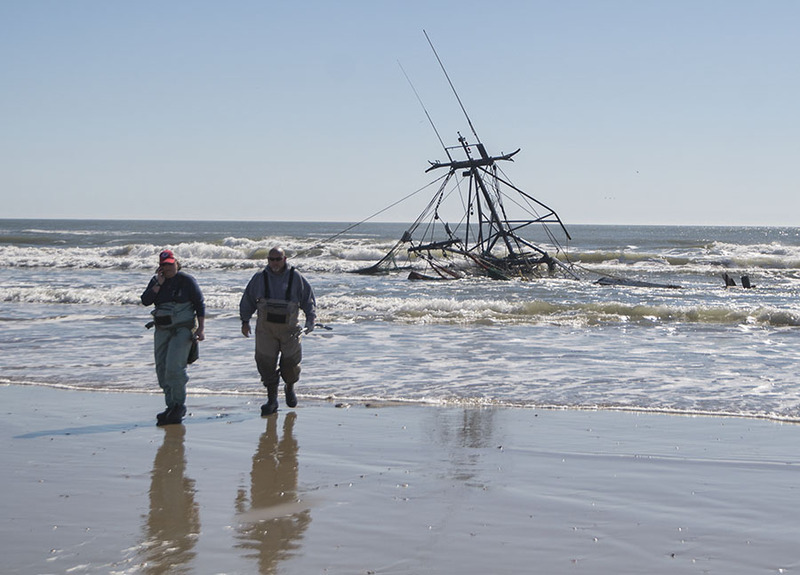 Though all three people onboard the trawler made it to shore safely, the vessel itself was not so lucky, with a chunk of the boat still lodged in the ocean wash on Tuesday, and the remaining parts littering the neighboring beach. 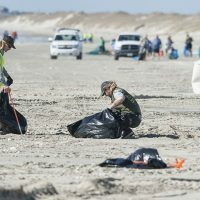 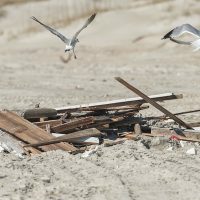 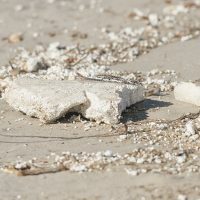 The call for assistance from the National Seashore came out on Monday afternoon, and residents and local organizations alike changed their Tuesday plans to assist the National Park Service in addressing the unsightly and unsafe litter that cluttered the shoreline. 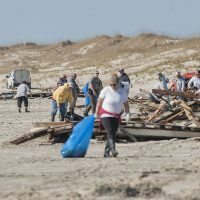 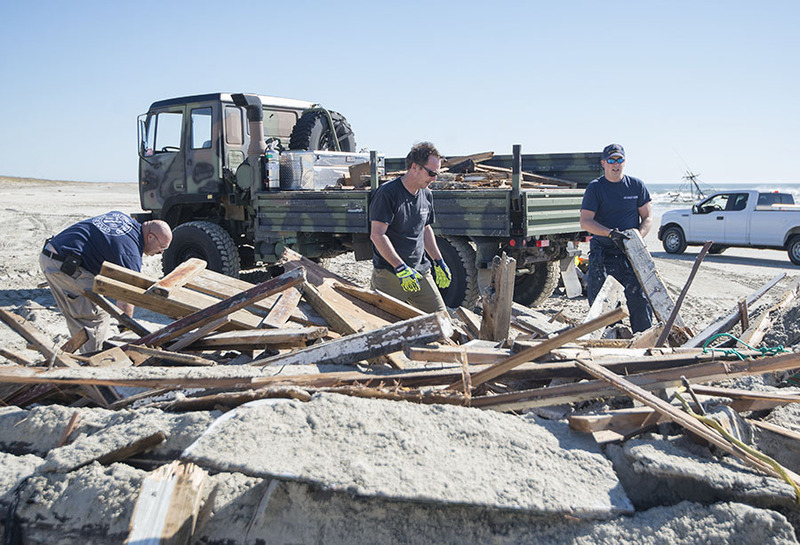 Volunteers included members of the Hatteras Island Rescue Squad, local volunteer fire departments, the Dare County Sheriff’s Office, and other community organizations and members. 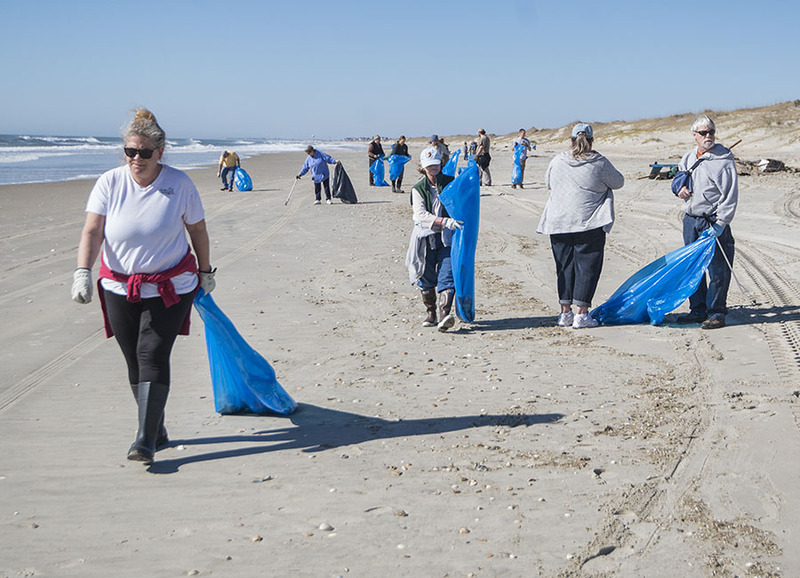 “Between park service staff, Dare County community members, and other volunteers, we had more than 100 people working,” said Hallac. 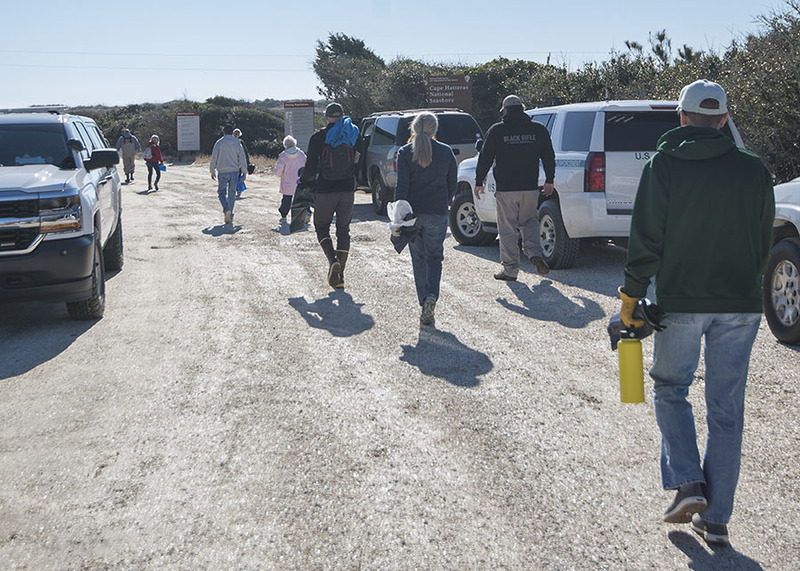 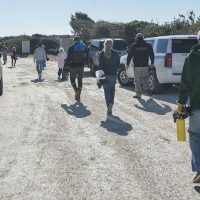 Volunteers were provided trash bags and trash pickers or grabbers, and worked alongside park service rangers, including Superintendent David Hallac, who came down to Hatteras Island for the unexpected cleaning event. 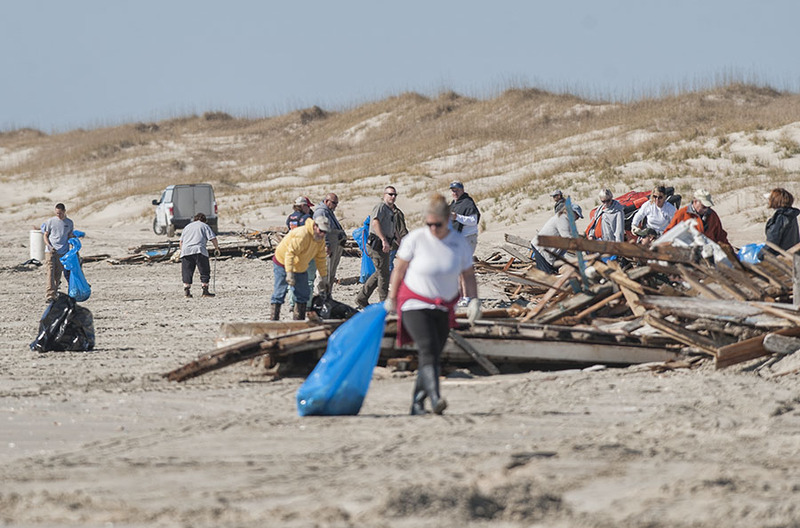 Tractors, front end loaders, and other heavy equipment was also enlisted to collectively shuttle and remove the larger debris piles, and volunteers worked well into the afternoon to make a noticeable difference by the end of the day. 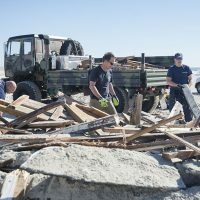 “Because of the support from the county, the fire departments, the Rescue Squad, and the volunteers, we will have the majority of the cleanup done in the Ramp 49 and 48 areas by the end of the day,” said Hallac. 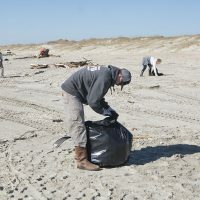 Though a large amount of the cleanup is complete – thanks to the community – there is still a bit of work to be done. 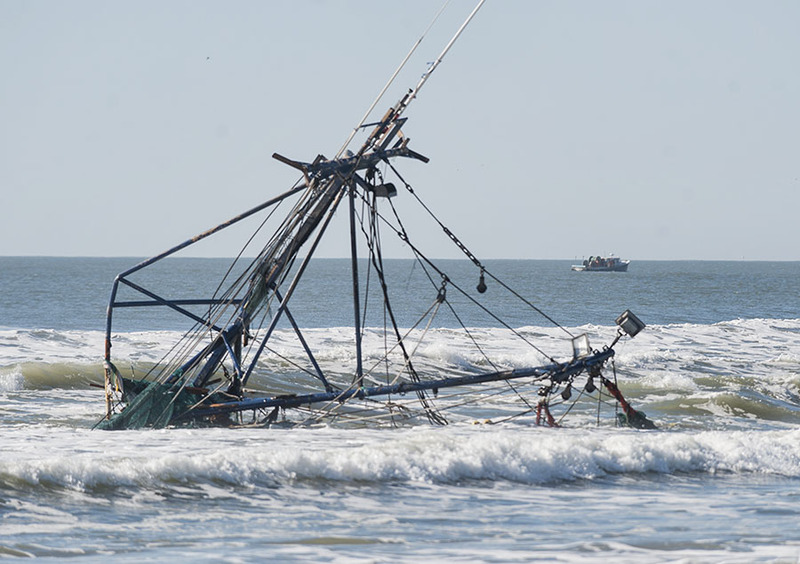 One significant task is to remove the remains of the vessel from its current location in the ocean wash, which will first require a thorough inspection by the U.S. Coast Guard to ensure that there is no remaining diesel in the fuel tank, and to pump any remaining fuel as needed. 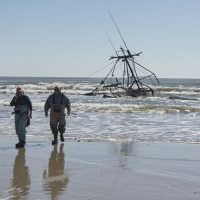 Once this task is complete, the National Park Service will contract with a partner to remove the vessel out of the ocean. 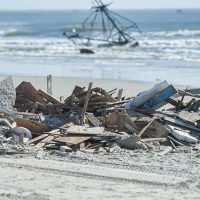 In addition, some of the wooden pieces and Styrofoam remnants have floated far away from the vessel, with reports of debris stretching from Frisco to Hatteras. 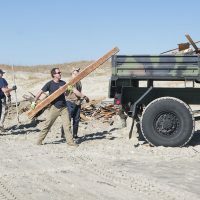 Hallac notes that NPS personnel are out and about trying to assess the degree to which the wreckage has washed down the beach, and to determine the next steps to cleaning it up. 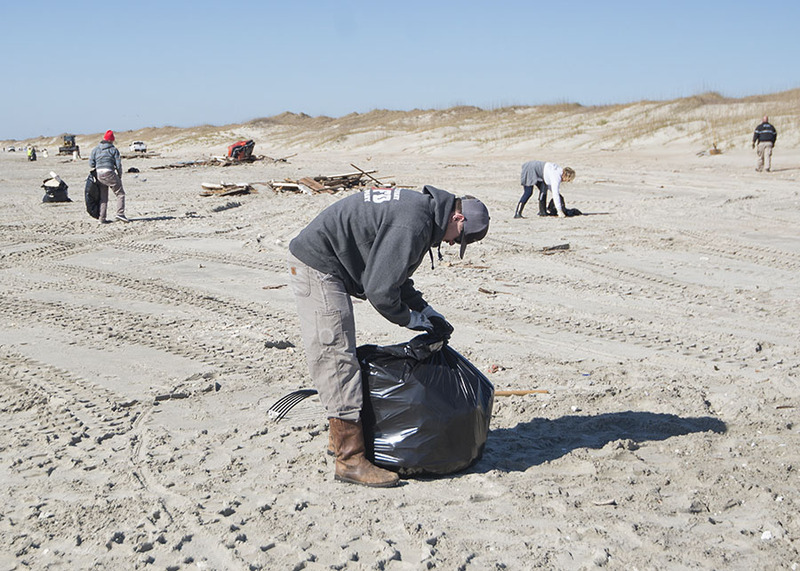 Simply put, a good portion of the literal heavy lifting is done, and because of the local community, the beach is well on its way to returning to its original, pristine state. 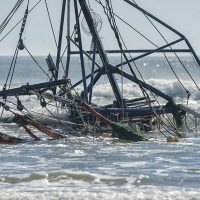 What happened to the wrecked hull and outriggers that were in the water after the Feb. 3rd sinking of the 65′ Trawler “Big John”? 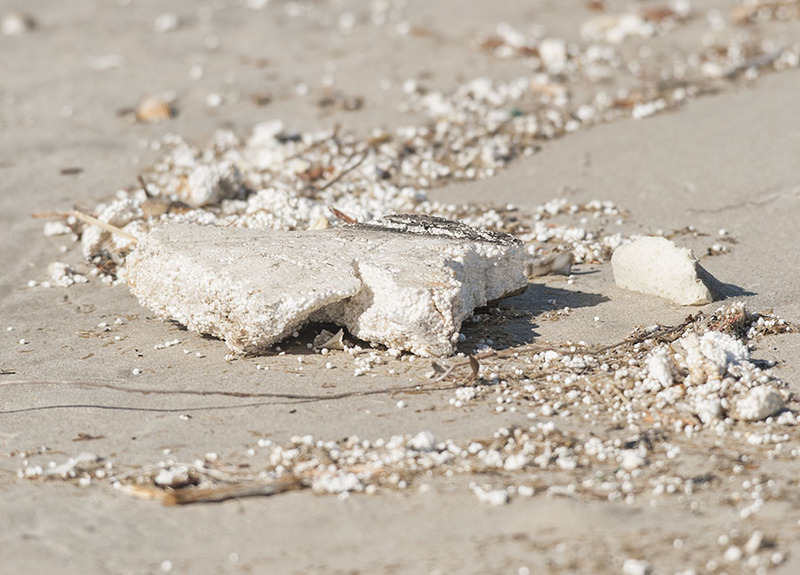 How was it remove from the water?